There is an inherent problem with the approach most people take to self improvement of any kind. There is a presupposition that there is something wrong that needs fixing. Perhaps it is true that there are areas in their lives that they wish to change. However, the mindset with which they approach transformation will very often NEGATE any positive results they might have. Why? Because all of their focus is on the PROBLEM they are trying to solve, rather than their vision for what their life will be like without the alleged problem. There is a very basic physical natural law which ultimately determines ANY success on ANY level. This law dictates exactly what our experience will be from moment to moment. Best of all, this law is fully under our control at all times, even if we are not aware of it. This "law" is the Law of Attraction. Most of the time, you hear about this law in terms of how it will help you to attract wealth or abundance in general. However, the Law of Attraction transcends just those basic desires. The Law of Attraction dictates that you will receive back exactly what you "vibrate"...that is, what you are FEELING. Where is your attention? Is it on the feelings associated with the problem, or with the feelings of no longer having the problem? If you approach self improvement material with the desire to "get rid of the problem", and if all your feelings are on how terrible or frustrating this "problem" is, Universal Law dictates that you will simply attract MORE of those feelings...more of the circumstances that brought the problem to you in the first place. The Universe isn’t "out to get you". It is simply responding to the "request" that you are putting out by way of your feelings. If, however, you approach your self improvement solutions with high positive feelings associated with what your life WILL be...if you visualize your success with your program of choice on all sensory levels, particularly on the level of EMOTION, you will literally magnetically ATTRACT the success you are looking for! Miracles will occur! While this may sound very "mystic" or even preposterous, I submit to you that EVERY aspect of your life right now has been brought to you in perfect response to your prevailing thoughts and beliefs which directly effect your emotional state, which in turn causes you to emit very specific and magnetic frequencies which attract like frequencies. We must never forget that beyond simply being flesh and bone, we are, at a molecular level, ENERGY. And our personal energy obeys the same physical laws as all other Energy which we study more traditionally. The wealthiest, most successful people in the world use the Law of Attraction (albeit often unconsciously) to effortlessly bring into their lives whatever they envision. This could be wealth, successful businesses, or satisfying relationships. Or, it could simply be wisdom, peace of mind, and a sense of purpose. The big secret is that you truly CAN have whatever you want,regardless of how "pie-in-the-sky" this may sound. You need only learn a few key concepts about HOW to ask for what you want to begin receiving it in abundance! Despite what you may currently believe or have been taught, it is not the purpose of our lives to struggle, to work hard for years, or try to "figure things out". Our job is to do what we love to do. When we do that with full trust and knowing that doing so will naturally attract our deepest desires, we become powerful magnets, which absolutely assures our success. 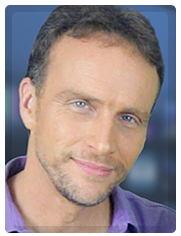 Bob Doyle is the CEO and founder of Boundless Living and the developer of the Wealth Beyond Reason program which provides a continuing education of the physics of wealth, abundance, and joyous living through the Law of Attraction.